Bursting with fresh flavor and creamy avocados, this Chunky Avocado Salsa is a must-have at any party! This is the way I like to party. 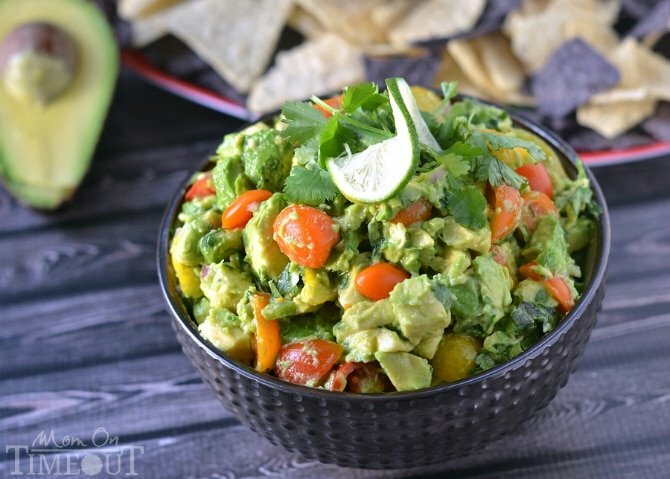 Chunky Avocado Salsa. It’s like your very favorite guacamole – but better. I honestly can’t get enough of avocados. I would eat them every day – twice a day – if I could. Heck! Sometimes I do 🙂 My Uncle Jim was up for a visit last weekend and he brought us some avocados from my cousin’s avocado orchard (so jealous!). They were so pretty and I knew just what to make with them. This salsa is absolutely gorgeous. 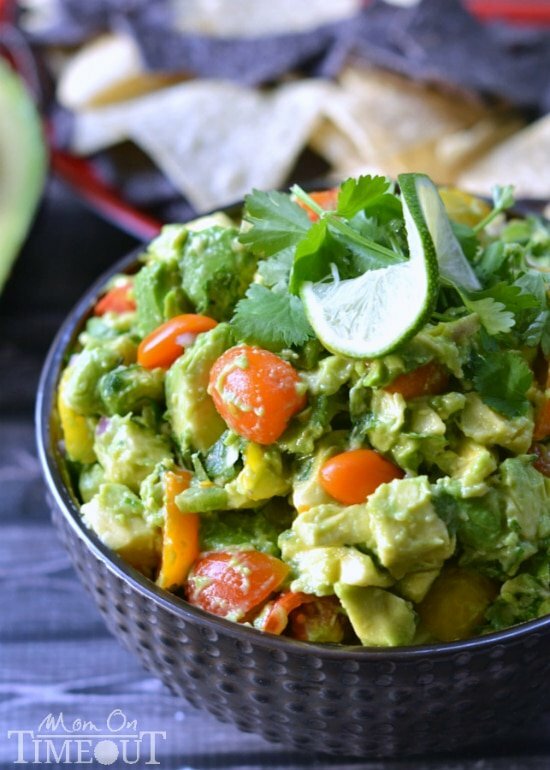 Studded with colorful pear and cherry tomatoes, they are like little jewels hidden amongst the creamy avocado chunks. I am a lover of all things Mexican and this salsa is no exception. 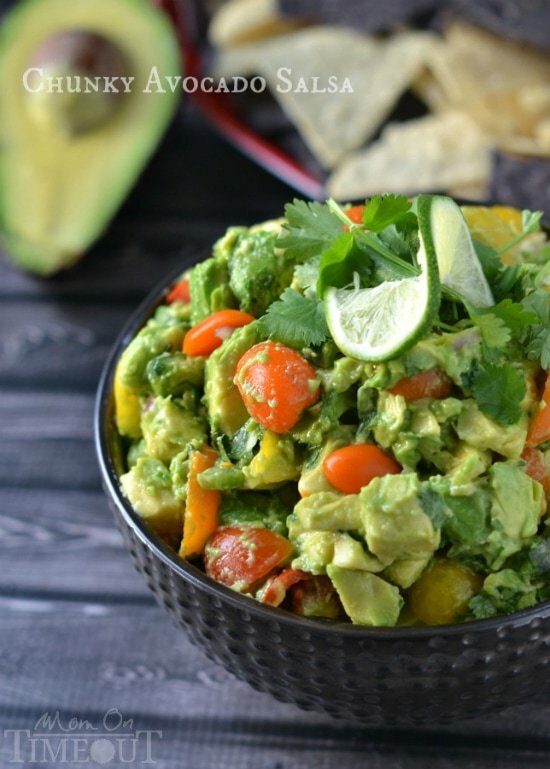 It’s like a guacamole but instead of mashing up the avocado, you leave it nice and chunky. Cilantro, jalapeno, and lime juice all make an appearance as well. The heat level is easily adjusted by removing the jalapeno from the mix or adding in some more. I like a little kick – but not too much! No party is complete without a dip of some sort, and this salsa is just the thing I needed for today’s celebration. In addition to today being Cinco de Mayo, today we are celebrating not one – but TWO mamas-to-be! 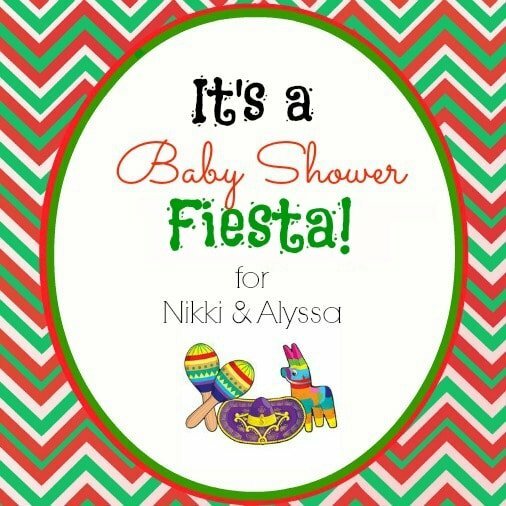 We’re having a Baby Shower Fiesta for Nikki (Chef In Training) and Alyssa (The Recipe Critic)! I had a chance to meet both of these sweet, SWEET girls at conference this year and seriously, CUTEST pregnant ladies EVER! Not only are these girls super talented and fabulous bloggers, but they are just total sweethearts and I couldn’t be happier for these newest additions to their beautiful families. Make sure to check out what the other girls are bringing to the fiesta! Combine all ingredients in a small bowl until well combined. You sound like my kind of girl Andi! That’s how I roll too 🙂 Thanks for pinning and stumbling!! Wow! I could eat a whole bowl of this! It looks awesome, I will definitely be giving it a try! Chunky salsa and fresh homemade tortillas? What could be better!? I love chunky salsa! I could devour this batch in a hot second! This looks super delicious!